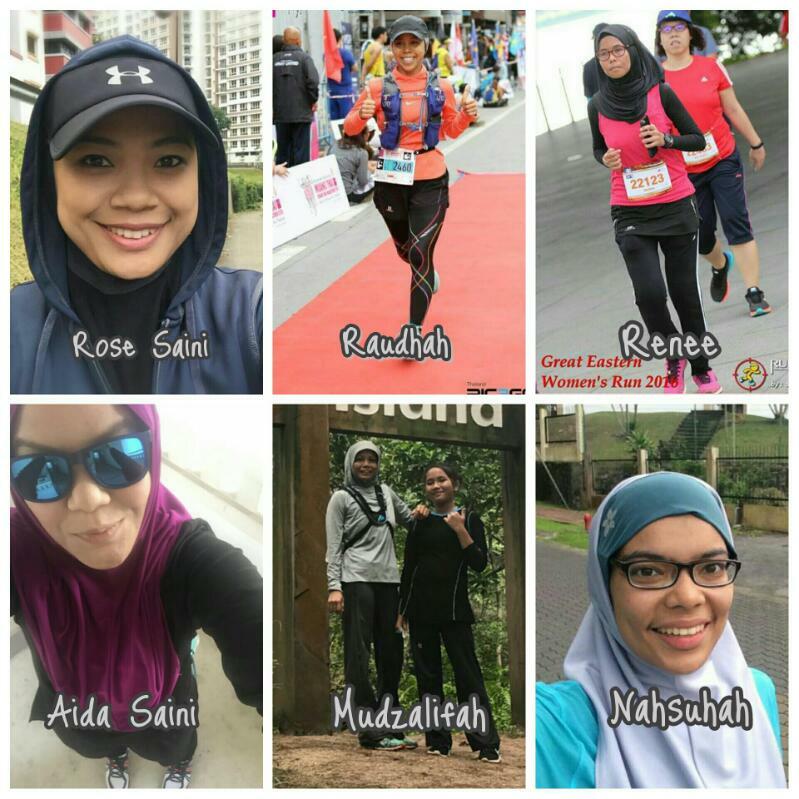 Through NashataRun4Charity, in April, six runners ran 571 km and raised more than SG400 to FTPC. Although small, we hope the contribution help families in need of little help during Ramadhan. The cause was chosen by the running team in Singapore and the money raised from the run was used for Ramadhan Distribution. 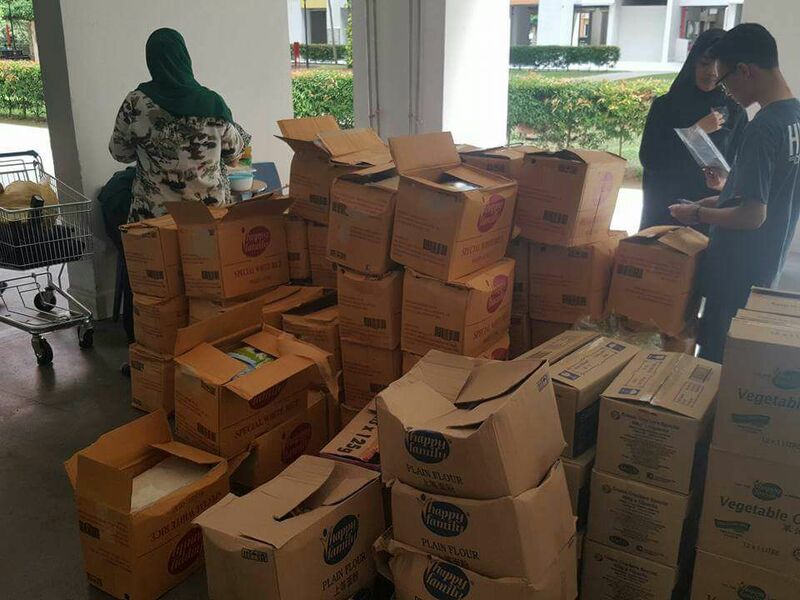 Alhamdulillah, yesterday (the Sunday before Ramadhan starts), FTPC members and volunteers distributed Ramadhan packs at Henderson Block 93, Singapore. FTPC & Volunteers ready for hard work! 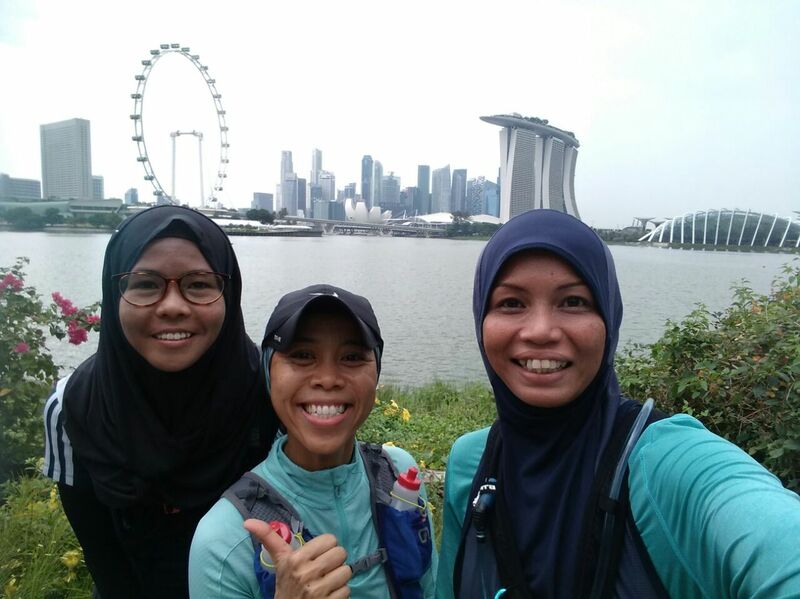 On the last Saturday of April, Renee, Raudah and Efah gathered together and ran 21km. They ran and took a lot of pictures in the heart of downtown Singapore. 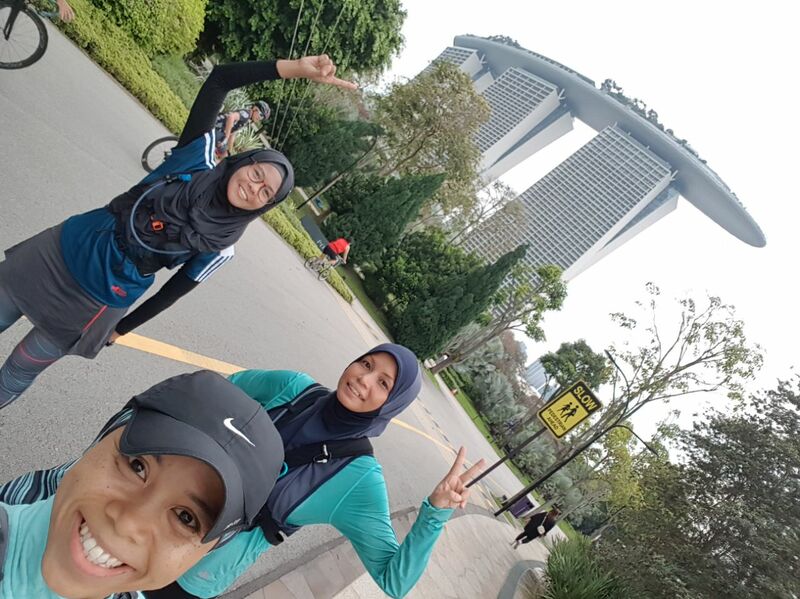 No one would run 21km on a weekend other than running at an event – but these girls did! Nahsuhah and I also ran on the same day, at the same time virtually. 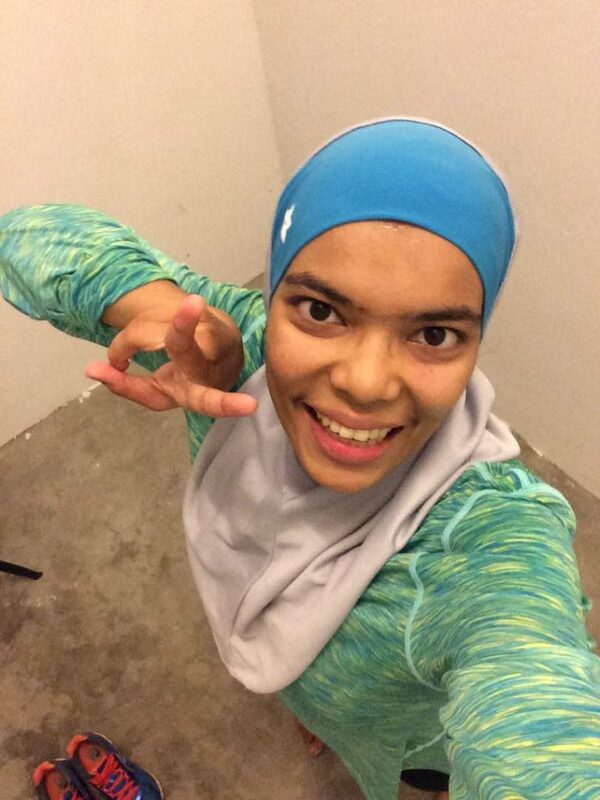 Nahsuhah ran in Kuching while I ran in Cyberjaya. All of us planned to wear in shades of blue and green in the spirit of running together. Nahsuhah & I ran at the same day and time – virtually. What about those who joined NashataRun4Charity? Those who joined and ran with us virtually get Nashata EZ Skirt at the end of the run. The proceeds goes to FTPC. We try very hard to make sure we get to raise as much funds for the charity of choice of the runners. Despite the hard work and tremendous weight lost, all of them would want to run for charity again. #takserik. 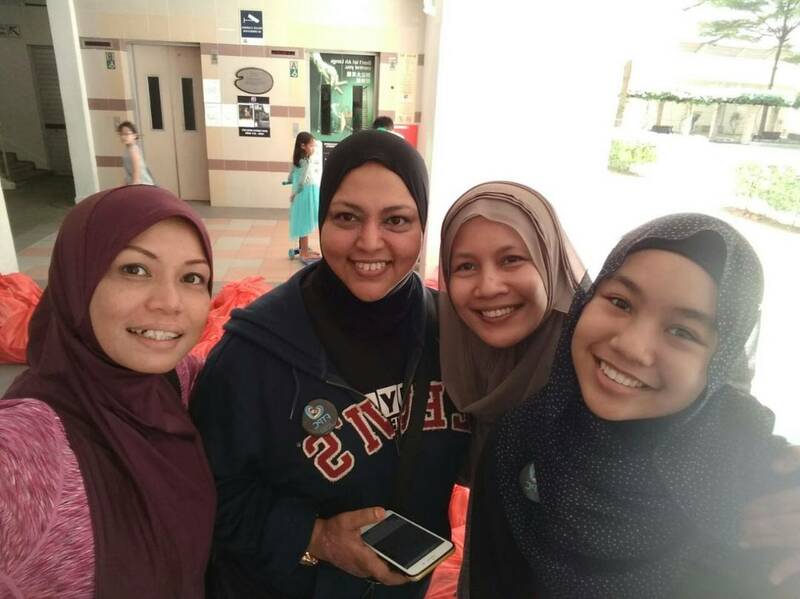 Singapore – we will do this again, improved insyaAllah. Singapore is the third country where we activated #nashatarun4charity. To date, since it started in Feb 2017, through the runs in Brunei, South Africa and Singapore, we have gathered runners to run more than 1941 km and raised more than RM4,000 for charity. Alhamdulillah for the opportunity to run and donate. Our heartfelt gratitude and special thanks to those who ran with us, sponsored and supported us. Have a blessed Ramadhan and please do support our future runs. 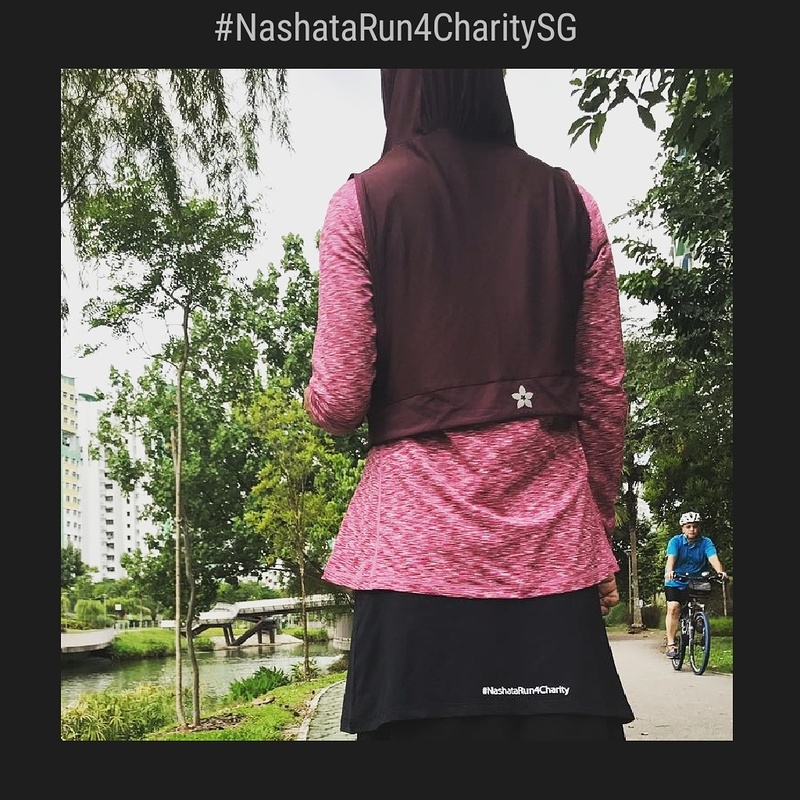 This entry was posted in General, NashataRun4Charity, Running and tagged Charity Run, for the people and community, FTPC Singapore, NashataRun4Charity, nashatarun4charitysingapore, Ramadhan Pack, running, running muslim, small actions, sponsor us run, Virtual run by eliza noordin. Bookmark the permalink.